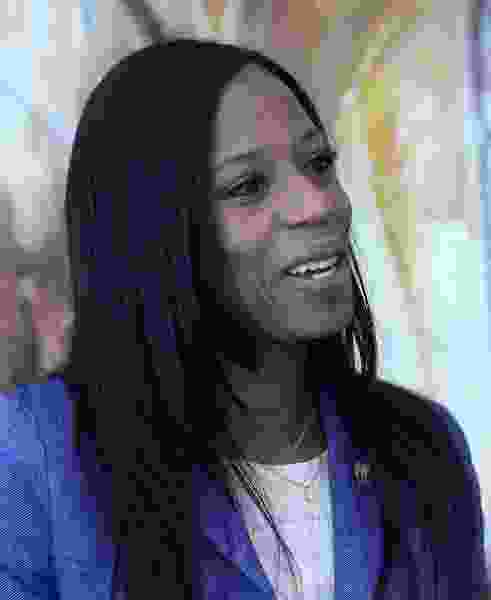 The Federal Election Commission is questioning whether Rep. Mia Love, R-Utah, raised more than $1 million illegally for a primary election that she never expected to face — while Love is contending what she did was legal based on past FEC decisions. Still, Love’s campaign says it will refund or redesignate more than $370,000 she raised after clinching the Republican nomination at the state GOP convention in April — but is fighting to keep more than $1 million accepted before that point for a possible primary fight. Her Democratic opponent, Salt Lake County Mayor Ben McAdams, said it shows Love is “gaming the system." At a hastily called news conference, he said the donations were part of “a culture of corruption” and called for her to return all the money. The controversy comes, as Hansen said, because “we have a unique system here in this state” to determine whether a primary will be held. That includes two separate paths for a candidate to qualify for a primary, through the caucus-convention system and/or by collecting signatures. That creates the possibility of three separate elections: a convention, a primary and a general election. For each one faced by a candidate, individual donors may give up to $2,700 and political action committees may give $5,000. No Republican challenger ever filed against Love. The GOP state convention formally nominated her April 21. However, Justin Lee, state elections director for Lt. Gov. Spencer Cox, says no one else could run as a Republican — even if a convention attempted to draft him or her — if a prospective candidate had not filed before the March 15 deadline. Love’s campaign is offering to refund or redesignate only those donations it received for a primary after the convention. As first reported by CNN, the FEC sent Love a letter in August saying her campaign appeared to violate federal guidelines for raising money for primaries, and sought more information. “Since the candidate will not participate in the 2018 primary election, any contribution received for this election must be returned to the donors or redesignated to another election” with written permission of donors, the FEC said. It added that if donations for the primary led any contributors to exceed overall donation limits to the Love campaign, they must be refunded. Love raised $1,153,624 and designated that money for a primary, according to the letter from the FEC. Even after Love secured the nomination at the convention, she raised an additional $372,468 specifically designated for the primary. Love’s campaign responded with a letter last week contending that she did the same thing that the FEC had allowed Lee, the senator, to do in 2016. Lee, at the time, said that he raised money to fend off challengers that might appear in a primary. His one filed Republican challenger withdrew his candidacy a couple of weeks before the 2016 convention. The FEC allowed Lee to keep the primary money citing “unique facts” of that race. Love’s campaign wrote to the FEC, “The ‘unique facts’ of the 2016 matter involving Sen. Lee have not changed,” and she raised money and planned strategy to fight potential challengers.” Unlike with Lee, no Republican challenger ever filed against her. Also, Love’s lawyers conceded that FEC officials had warned that the Lee decision applied only to his case and that Love would need to get permission or a ruling from the FEC for her own contest. McAdams did not raise donations for the primary, knowing he faced no in-party opposition after eliminating four challengers at the state Democratic convention. McAdams called it part of a “culture of corruption” in which Love feels “she is above the law.” He referred to other incidents, including a complaint to the FEC against her [McAdams also faces one], allegations that Love sent a “fake reporter” to ask McAdams questions, and sending mailers falsely implying support from local newspapers. After McAdams' news conference, Love’s campaign issued a written statement saying the FEC has not ruled that it broke any laws — it just sent a letter asking questions — and “now that we are getting closer to the election he [McAdams] is going to extremes to grasp at straws” to criticize Love. Love and McAdams both reported having $1.2 million in cash June 30, their latest campaign disclosures show. Because the 4th District contest is the only close major race in Utah — and among those watched nationally as Democrats attempt to win back control of the House — Love’s questionable donations are attracting national attention. CNN quoted Ann Ravel, who served as an FEC Commissioner under President Barack Obama, saying, “It’s a big deal. ... If you’re raising primary funds and you have no primary, on its face, it does seem to be inappropriate and it’s a lot of money." CNN noted that it is unclear if the FEC will accept Love's rationale for keeping some of the primary donations. Working in Love's favor is that there are currently two vacant seats on the six-seat commission, so any decision would have to be unanimous. “They are probably betting that there's no way there are four votes on the FEC to come after them for this, that's part of what's in the background here,” said Paul S. Ryan, vice president for policy and litigation with the watchdog group Common Cause.